In this cut-throat competitive environment, being digital is not just a way to meet the challenges, it has become the new brand behavior based on the re-organized and re-optimized marketing efforts. In an urge to effectively communicate with the people and developing a relationship with them a brand must adopt some habits on the essential level. While each brand works as a separate individual and has its own unique personality yet there are some common habits that are regarded essential to ensure success in the marketing war. If we study the most successful brands in the market we can easily identify the most similar habits with them and these can be pointed out as follow. Marketing is not about telling you; it is about starting the conversation and building the relationships with the help of content and information. Also, it is about listening so that you can get the real tone of the social voice. For this, you have to collect the real-time data from the social communities so that you can figure out that what type of content you have posted is highly preferred by the audiences. To improve your social listening, it is necessary that you inform the social communities about all content you have published. Create something unique, organic and completely unexpected that may create a buzz in your favor. While there is a successful conversation is already existing, instead of creating a new one, improve it by participating with more energy and shape your upcoming content on its base. Put your best effort in developing a brand voice so that your brand can be easily identified in a crowd. The brands are facing the high challenge in the terms of quality, presentation, and performance. There are various platforms such as Instagram, Cinemagram,iMovie, and many others; because of them it is easy to distinguish between quality content and an amateur one, and also presenting a quality content is the must condition. Authenticity can be referred as connecting with clients on an emotional level, engaging them and developing a relation beyond selling the products. Create something soul searching; something that is about core values of your product or uniqueness of your company. Think large as risk taking and an adventurous spirit always pays profitably. Consistency is must to maintain the buzz. Insights and many new opportunities to develop new marketing strategies and build better consumer relationships. A brand or its marketing team has to develop a social listening program as well as a customized research and analysis strategy. Developing a digital health scorecard also can be very helpful to evaluate the data and tracking the key metrics. An average modern day consumer tends to play, socialize and shop online; it gives the brands an opportunity to find possible touchpoints to inform, inspire and influence to buy it. To be discoverable or being found a brand it is quite essential to align its footprints with the consumer’s journey. It covers all the detailed highlights about when and where they are searching, socializing, getting entertained and being inspired so that you can develop a sound and successful engagement with them. Ensure that the brand’s foot prints are nicely aligned with the consumer’s mind set. Select the target platform and the emerging behavior is relevant to the brand. Find out the digital and cultural pulse of the consumer behavior and keep a finger on it. Figure out the common point and seize it for starting the conversation. Stick on timing, one cannot afford the late or outdated conversation. It is the vital part of the digital marketing strategy as each conversation begins with the advertising content such as 30 spots, print advertisement, YouTube video or mobile SMS. Content creation is meant by manifesting the brand essence by developing the social and shareable assets. It could be in the form of text, image, post, video, event, game or activity. Build the right foundation. The content creation team must be creative, innovative, adapting to changes and skilled. 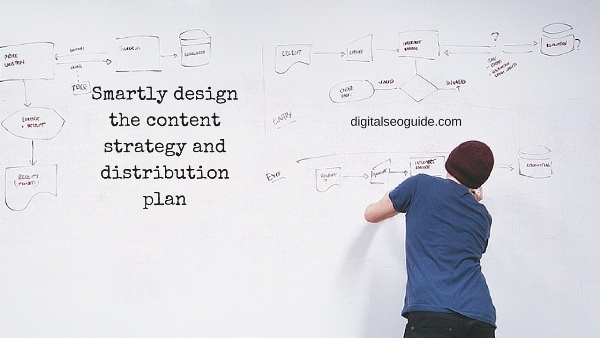 Smartly design the content strategy and distribution plan. The content is needed to be campaign oriented and also conversation based. It is also important to monitor results and measure success. Working with key metrics supports the content creators to find out the level; of user engagement both in the quantity and the quality manner. 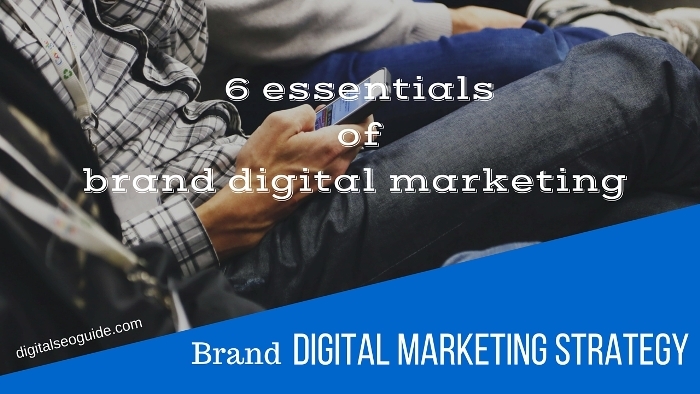 So, I think this is some essentials of a sound digital brand.with this article, we are trying to cover basic essentials of digital brand strategy. If you have any idea of more essentials of brand digital strategy. If you know of any strategy that can improve brand digital marketing. Please share with us.